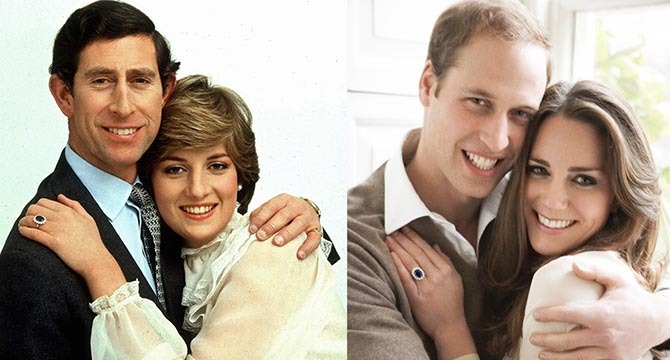 Well, the fact is Kate Middleton pays tribute to Diana constantly with her jewelry. She did so before this summer marking the 20th anniversary of Diana’s death and she will surely pass the tradition right on to Princess Charlotte. Of course, Kate’s everyday Diana jewel is her beautiful engagement ring, but there are also several other stunning pieces. Following are details about Diana’s jewels that Kate wears most frequently with a little bit of history on each one. Diana’s most iconic jewel was the engagement ring she received from Prince Charles during a romantic candlelight dinner at Buckingham Palace in 1981. While it is customary for royal brides to have a bespoke ring made, Diana broke with that tradition when she chose from a tray of rings by the crown jeweler Garrard. The design of the ring was inspired by a sapphire and diamond brooch presented to Queen Victoria by Prince Albert in 1840 on the day before their wedding. 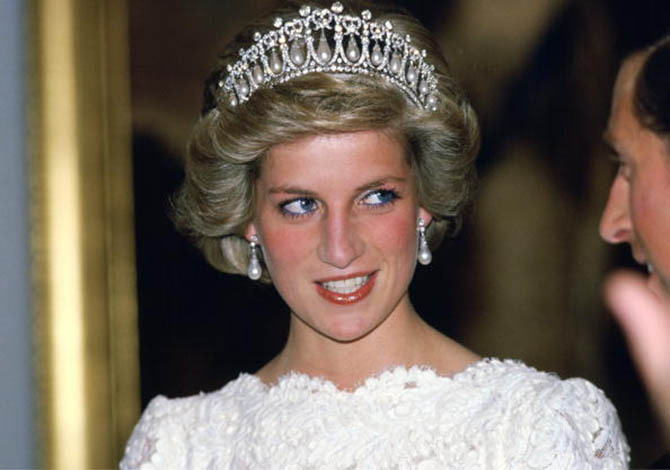 The Cambridge Lover’s Knot Tiara was one of Diana’s favorite formal pieces. 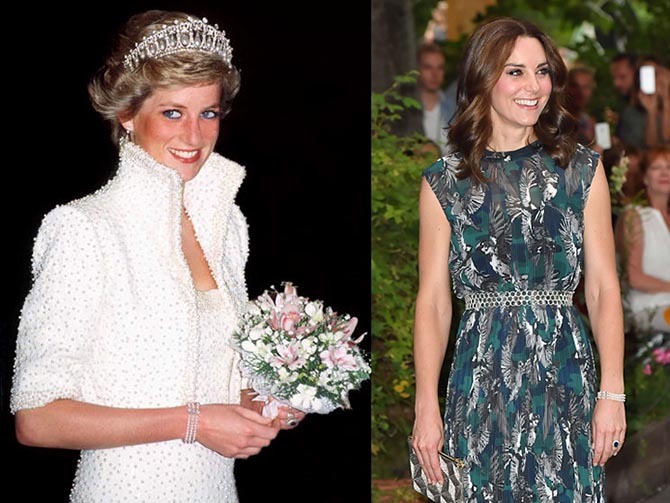 She paired it with pearls and white gowns for a very modern regal effect on several official trips. The history of the jewel extends back to Queen Mary who originally commissioned the stunner in 1914 from Garrard. It was modeled after a Gothic Revival tiara owned by her grandmother, Princess Augusta of Hesse, the Duchess of Cambridge. The neo-classical design has 19 openwork diamond arches, each enclosing an oriental pearl drop from a diamond lover’s knot bow surrounded by single diamonds. 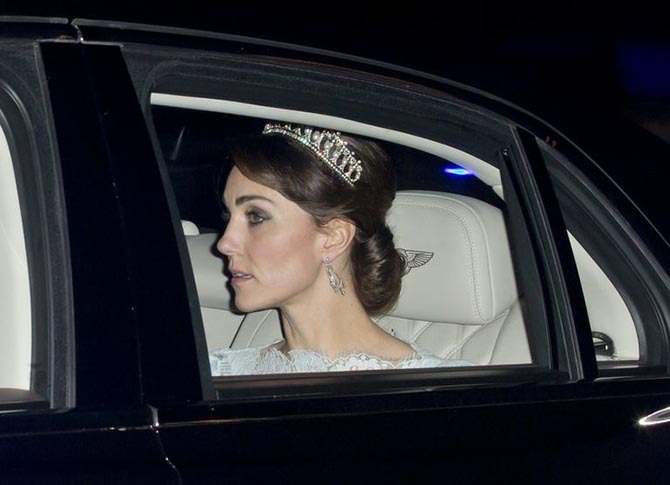 Kate Middleton wearing the Cambridge Lover’s Knot Tiara to a reception in December, 2016. Queen Mary left the tiara to her granddaughter, Queen Elizabeth. In 1981, the queen gave the tiara to Diana on a sort of permanent loan among her wedding presents. 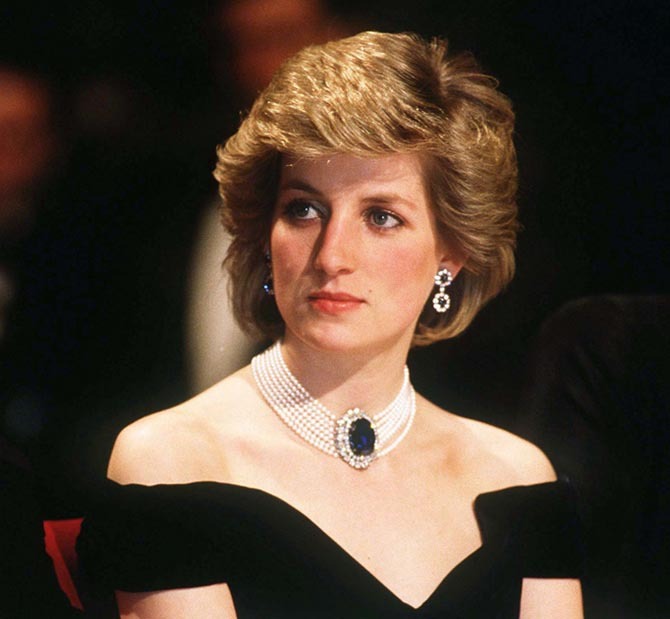 When Diana and Charles divorced in 1996, the piece was returned to the royal family’s jewelry collection. Now, the tiara has come back into the public eye on Kate who has worn it on multiple occasions. Diana loved sapphires. Among her favorite pieces with the blue stone were her oval sapphire and diamond double drop earrings. They matched her engagement ring, striking blue eyes and stood out against her cropped blonde hair. 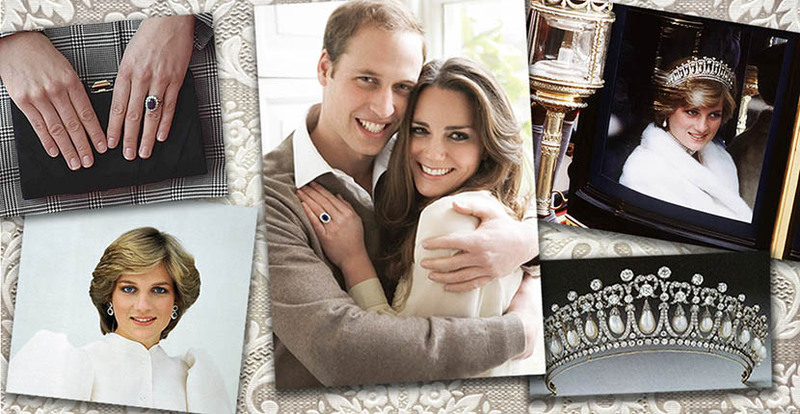 Kate received Diana’s diamond and sapphire earrings from Prince William shortly after their 2011 wedding. They were refashioned into single drop earrings suspended from a diamond lever. The Duchess wore them on the first of many occasions for the couple’s official portrait for their 2011 North American tour. The bracelet was spotted in July on Kate for the first time during the royal tour of Germany. It was a touching tribute to her late mother-in-law among all the summer of 2017 celebrations of Diana’s life marking the twentieth anniversary of her death.